"I came to H.A.N.D. in 2013 in the position of Director of Programs and Innovation, to create capacity around recruiting, training, and retaining the home care workforce. As almost a third of the American workforce is taking care of an aging relative, we have to re-think how we sustain caregivers in our community. 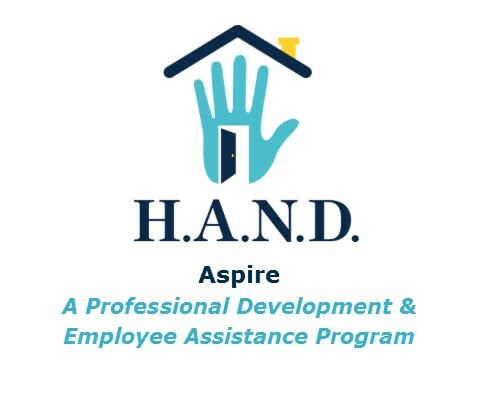 During my tenure at HAND I developed and implemented Aspire, an innovative, award-winning, comprehensive workforce development program, including EAP services and supports, for all staff levels including 275+ Personal Care Attendants. There was a strong community engagement component and economic development strategy, so we partnered with community members, local businesses, existing community resources, and universities to become the leader in learning-based organizations. 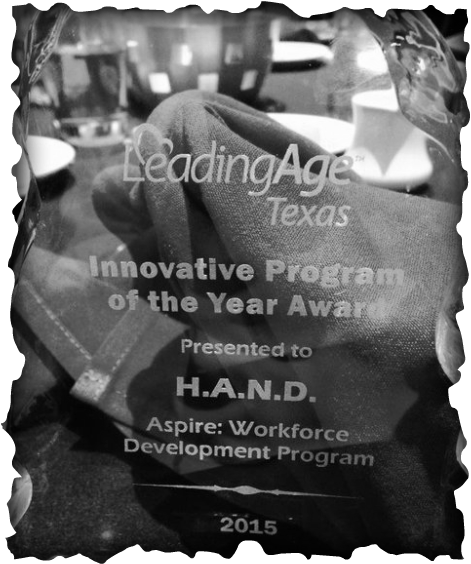 In 2015 HAND Aspire won the 'Innovative Program of the Year" award by Leading Age TX. As attention came to Aspire, it also caught the attention of other home care providers (private and non-profit alike), so we started collaborating to leverage resources and build capacity to expand Aspire to other employers facing similar industry challenges. Eventually this collaborative formed the Central Texas Home Care Coalition. The Central Texas Home Care Coalition is a group of employers (and other key stakeholders) committed to strategic collaboration and developing creative solutions to our complex industry staffing challenges. We formed an alliance to address our collective priority issues: 1) Training, 2) Retention and Work Supports (including EAP), and 3) Wages and Advocacy. We support our workforce by improving access to health care, career path supports, and best practices in training and skill development. Taking good care of our employees is essential in order to take good care of our clients. As businesses continue to rely on doing more with less human capital, we need to be creative in how we create career path opportunities for the working poor. Businesses are a thriving member of our interconnected communities, and supporting & developing our vital human capital helps strengthen families and communities. Workforce development is an essential function of being a socially responsible corporate citizen." 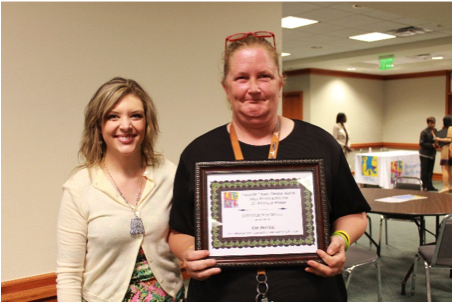 · Provided biweekly Pay Day Outreach events, engaging two thirds of the attendant workforce, connecting attendants with community services such as the Supplemental Nutrition Assistance Program (SNAP), and giving out 46 free flu shots and health screenings during the inaugural event. 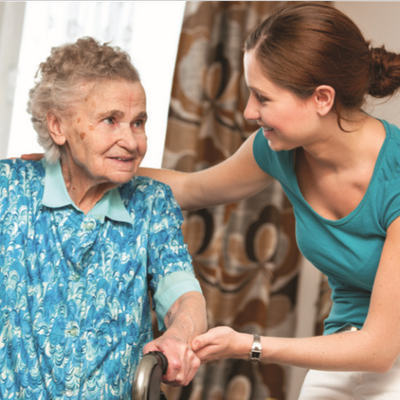 · Expand the work of the Central Texas Home Care Coalition, charging a yearly membership fee to assist with training, administrative, and industry association membership costs. Priority areas are Wages & Advocacy, Retention (including EAP and Workforce Supports), and Training. 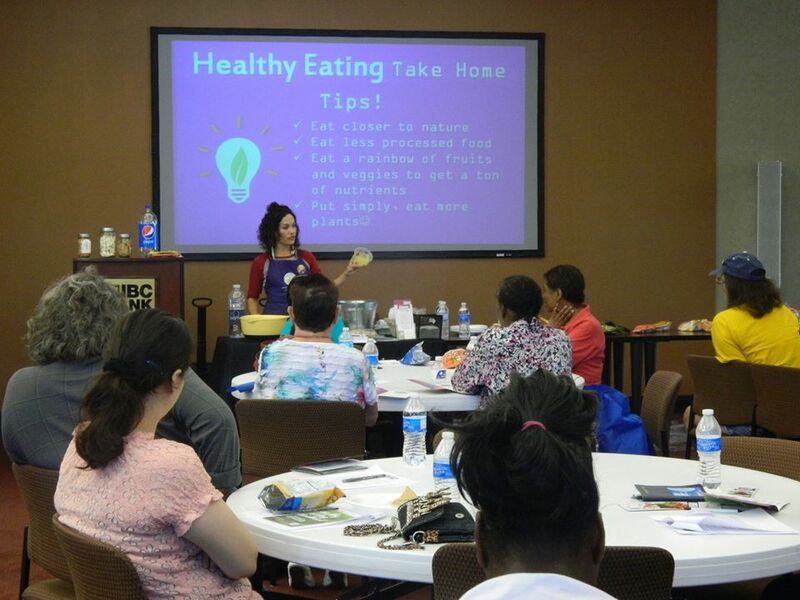 · Continued expansion of training to include monthly two hour, paid trainings (skills training and wellness) through partner sponsorship program, including funding through Amerigroup and United Health Care.